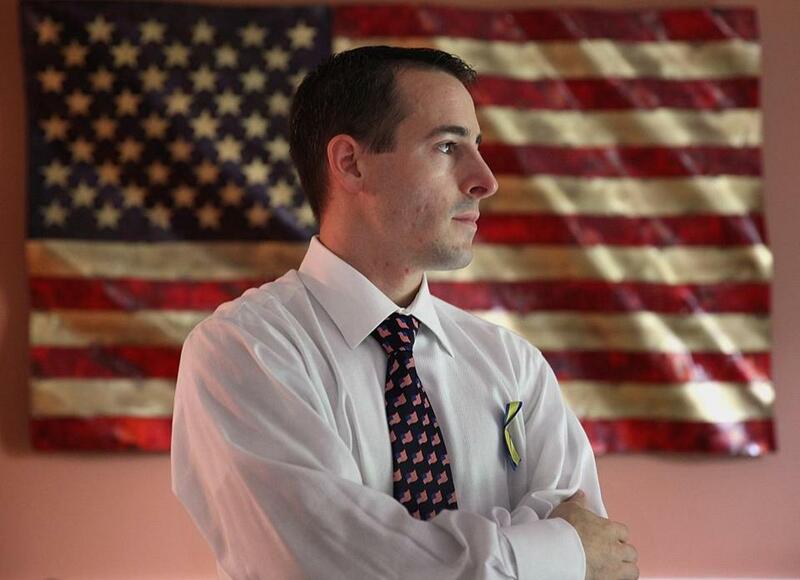 Peter Guza of North Andover lost his father in the World Trade Center on 9/11. When neighbors heard Cindy McGinty’s husband was working in the World Trade Center that morning, they lit candles and brought her food. When she went to New York to look for him, a cab driver repeatedly refused to take her money. And after it was confirmed that Michael McGinty was among the nearly 3,000 dead, neighbors accompanied her children to school in Foxborough and a local landscaper mowed her lawn for eight years. “My community loved me back on my feet,” McGinty said. Fifteen years after the Sept. 11 attacks, she fears the spirit of unity and generosity that lifted her up has been crushed by the anger, bullying, and division she has seen sweeping across the country and that have come to a head in this supercharged political season. Like many who lost loved ones that day, she says she feels called to perform acts of kindness on the anniversary as a way to rekindle the sense of togetherness that buoyed her and so many other victims’ families. 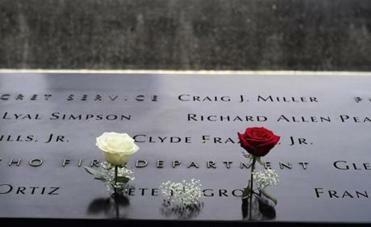 President Barack Obama on Saturday honored the nearly 3,000 souls that were lost in the Sept. 11 terrorist attacks. In the 15 years since the attacks, every life that was touched has been transformed. Children who lost parents when they were in elementary school are now in college. Those who were in college have married and started families of their own. Some who buried spouses have married again. The pain has also been transformed but still remains. The country, too, has been reshaped by wars, recession, and the emergence of ISIS and repeated lone-wolf attacks that have, in some ways, broadened and sharpened the fear of terrorism. Just as troubling to some is the dark mood that seems to have settled over the country and given rise to the vision that Donald Trump evokes of a nation belittled by rivals, overrun by criminals, and under threat from Muslims at home and abroad. Elinor Stout, whose son, Timothy, a 42-year-old father of three, died in the World Trade Center, said she blames Trump for stoking the kind of fear that she tried to battle after Sept. 11 when she spoke to church groups in Boston with Zainab Al-Suwaij, a cofounder of the American Islamic Congress. When Stephanie Gardner, whose mother was on Flight 11, taught her sixth-grade class in Acton about the Sept. 11 attacks last week, she emphasized how America rallied together afterward. “For me, there wasn’t a religion to blame or a country to blame; it really was a small group of people” who orchestrated the attacks, she said. “When I get disheartened, when I watch the news or watch the election, I think of the kids, and it makes me hopeful,” Gardner said. Many say the charitable acts they undertake every Sept. 11 have taken on greater meaning this year as a way to repudiate the violence and animosity that seem to dominate the news these days. Guza is running a 100-mile road race to raise money for a scholarship named for his father. McGinty organized face painting, music, and games to raise money for scholarships named for her husband. On Sunday, she plans to join other victims’ relatives who are making care packages for service members and veterans. Debra Burlingame, whose brother, Charles “Chic” Burlingame III, was the pilot of American Airlines Flight 77, which hit the Pentagon, said she hopes the country will mark Sept. 11 by vowing to confront the growing threat of radical Islam. Ysuff Salie — whose daughter, Rahma, was 28 and seven months pregnant when she died on Flight 11 with her husband, Micky — said he hasn’t spent much time thinking about politics or terrorism, though both have been nearly impossible to avoid.